Implementing Chapter 2 of Water for Victoria; progress to September 2018. The latest scientific insights and guidance on how to assess climate change impacts are helping Victoria’s water sector plan and adapt to a future with less water, more intense rainfall and storms, and sea level rise. Photo: Wonthaggi Wind Farm with the Wonthaggi Desalination Plant in the foreground. The new Victorian Water and Climate Initiative research program, conducted by experts on climate and hydrology, will produce more advanced information for water managers and for sewerage, drainage and floodplain services. The water sector is dealing with changes in climate, population and water demands by adapting its operations, reducing greenhouse gas emissions, investing in energy efficiencies and planning for reliable and affordable water, sewerage, drainage and floodplain services for the future. Photo: Altona Treatment Plant. 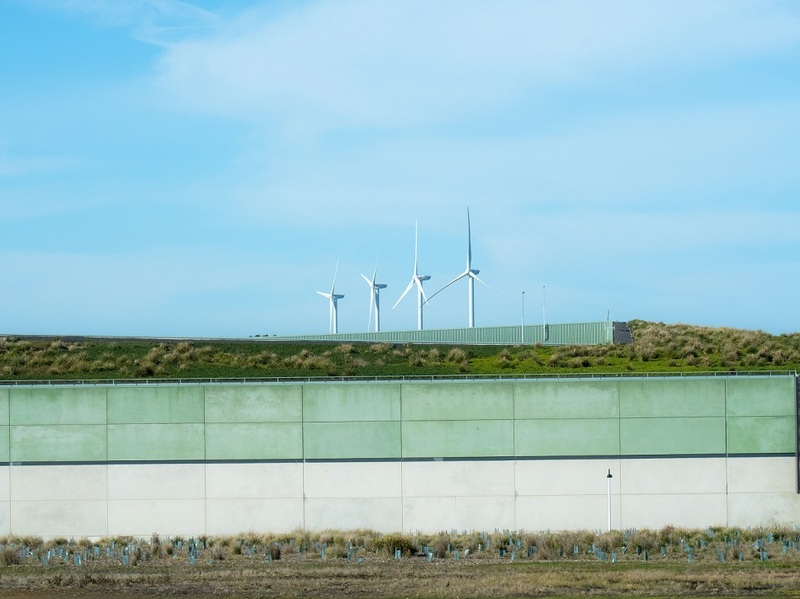 This system generates 206 MWh of sustainable electricity each year – enough to power 17 homes for one year and reduce CO2 emissions by 227 tonnes each year, and the equivalent of taking almost 50 passenger cars off the road, each year. Courtesy City West Water. Victoria’s 19 water corporations have collectively pledged to reduce their carbon emissions by approximately 350,000 tonnes — or 42 per cent — by 2025. These pledges have been ratified in each water corporation’s Statement of Obligations, demonstrating how the sector is taking genuine action to mitigate climate change and move towards net zero emissions. Victoria’s water corporations will continue to develop and implement projects that reduce their emissions, along with investigating how they can buy renewable energy. Four of the water corporations are already on track to fulfill commitments to reduce their emissions by 100 per cent through investing in solar infrastructure and other initiatives. 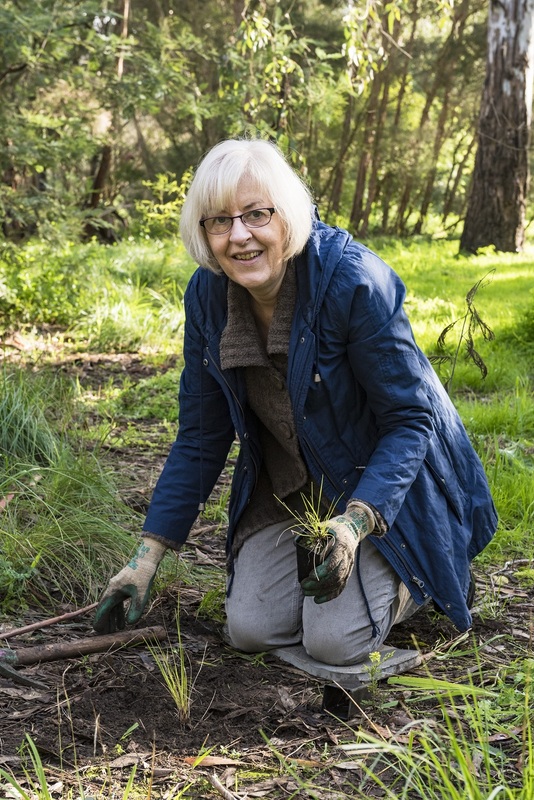 The new Victorian Water and Climate Initiative will improve our understanding of past and future changes in climate and the impacts on water resources, which will ensure that Victorians can make informed decisions about managing our water resources. Image: Southern growing season (April–October) rainfall deciles from 1996 to 2015. 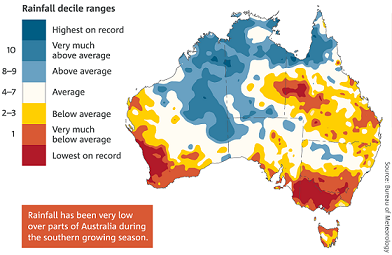 A decile map shows where rainfall is above average, average or below average for the recent period, in comparison with the entire rainfall record from 1900. Source: Bureau of Meteorology. The State Government has developed Guidelines for Assessing the Impact of Climate Change on Water Supplies in Victoria using the latest findings from the Victorian Climate Initiative, including modelling from the CSIRO and Bureau of Meteorology. The guidelines project long-term changes in temperature, potential evaporation, rainfall, runoff and recharge, and will be used by water corporations across Victoria to model the impact of climate change on water supplies. The guidelines will help to secure Victoria’s water supply by guiding preparations for hotter and drier conditions. Victorian water corporations will use the guidelines when planning for supply systems that are vulnerable to climate change, and have already used them to develop Urban Water Strategies. The government has also developed a new Victorian Water and Climate Initiative program of research based on feedback from the water sector, and has entered into research agreements with the University of Melbourne, the Bureau of Meteorology and CSIRO. The initiative will provide the water sector with a new and more refined understanding of changes in rainfall, runoff and streamflow and how this may affect water availability. The Catchment Carbon Offsets Trial, completed in May 2018, shows how revegetation projects can reduce emissions, deliver climate resilience and improve catchment management outcomes. Under the statewide initiative, opportunities were sought for catchment management authorities (CMAs) to revegetate catchment areas to deliver carbon sequestration and environmental, social and water quality benefits, with water corporations funding the works. Photo: Friends of Darebin Creek revegetation works. Courtesy Melbourne Water.